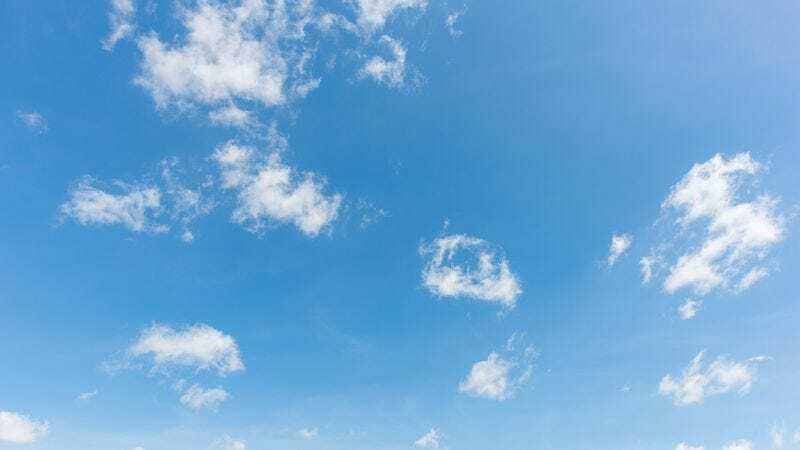 WASHINGTON—Informing citizens there really wasn’t anything special going on up there, the nation’s scientists confirmed the sky is normal today. “It’s just going to be regular today,” read a report issued by NASA, which noted that the sky looks pretty much like it always looks right now. “You can check it out if you want, but it’ll just be all the usual stuff: blue, maybe some clouds. You know, normal sky stuff.” Experts added that there might be some interesting sky thing again in a few years, but for the time being there’s no real reason to look up.